Buy PopLurker a Coffee. ko-fi.com/poplurker - Ko-fi ❤️ Where creators get paid by fans, with a 'Buy Me a Coffee' button. 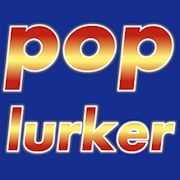 PopLurker is a pop culture comedy website established in January, 2018 by writer/author Loryn Stone. We post new content throughout the week, including original articles, interviews, convention/cosplay reviews, recipes, and nerdy product reviews! Want to show us some love without the monthly pressure of Patreon? Buy us a coffee please! Because we are AMPED! Secured Payments. Support goes to PopLurker's account. Upgrade PopLurker to a yearly Gold Membership with a one-time payment.